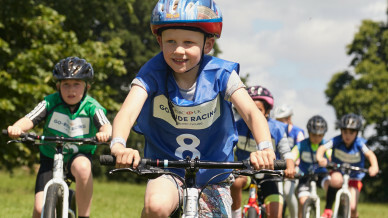 Whether it’s a spin in the back garden, splashing through puddles in the park or tearing around a local pump track; cycling is an essential part of growing up and we’re here to help kids love life on two wheels. New to HSBC UK Go-Ride? 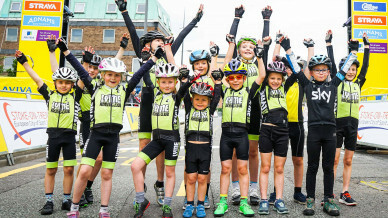 Discover friendly kids’ cycling clubs and fun activities local to you and join thousands of young riders. An information hub for Go-Ride Clubs and volunteers, supporting development and delivery. 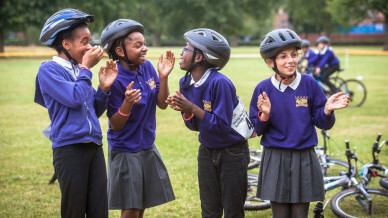 Introduce cycling to the curriculum with sessions from an experienced HSBC UK Go-Ride Coach. Teach your kids how to ride with quick and easy games that are perfect for playtime and holidays.